DAVID ALLAN BENNETT passed away peacefully at the Prince County Hospital, Summerside, PE, early Saturday, February 9, 2019, with his loving wife of 53 years, Doris (Dunn), by his side following a lengthy battle with cancer, aged 76 years. Born in Truro, NS, he was an only child of the late George and Margaret (Knickle) Bennett. 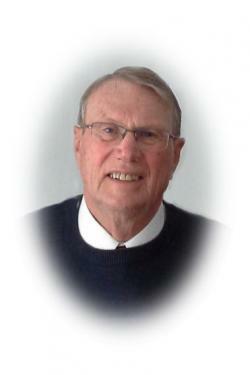 Dave was an avid golfer and well-known former manager of the Bank of NS (1977-1993). He is survived by cousin, Linda Bennett of Truro and other cousins, as well as aunts and uncles. Fondly remembered by brother-in-law, Darrell (Debbie) Dunn; sister-in-law, Marlene (Robert) Tibbitts, of Truro, NS; and by many nieces and nephews. Funeral will be held on Saturday, February 16, 2019, at 3:00 p.m., at Kingdom Hall of Jehovah’s Witnesses, 20 Taylor Road, Summerside, PE, with visiting to follow. Public is welcome. Interment will later take place. In lieu of flowers, memorial donations can be made to Prince County Hospital Foundation or online to JW.org/DONATE. Interment will take place later.